Educating kids about information security should be one of the priorities of our society. Our kids are nowadays spending a lot of time on the Internet whether for school research, communicating with other students and teachers, interacting on social media, and playing games. Unfortunately, kids also lack proper education and training about information security before jumping on the Internet to join groups and chat. Although we may think that kids know more than their parents about technology and the Internet, the knowledge gap is often about the features of the tech devices and application programs and not so much about the threats or risks facing them. 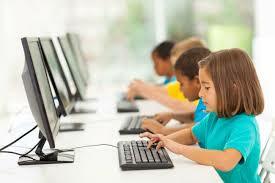 Kids are very quick at learning about using a mobile app, tech gadget, or a game console. They follow other kids in whatever might be the current societal trend such as joining the Instagram, Facebook, and other apps. I am often shocked about how little they know or care about the online threats and risks. My daughter was once the target of a real online threat and I advocated at the time that tech companies and the government must work together to invest in the education of their little customers who will one day make bigger purchasing decisions. Fortunately, kids are catching up quickly with the risks of using the Internet and a recent research by Kaspersky Lab revealed that the increasing threats facing children are gaining visibility and raising awareness. For example, 49 per cent of the kids surveyed between the ages of 10 and 15 admitted being scared and worried about going online. I guess the horror stories that kids like my daughter experience and are shared with others become learned lessons which is why educating kids about information security threats is a must. Back to the Kaspersky survey, over 21 per cent of children worry that a stranger might bully them; 18 per cent worry that a stranger might ask them to do something they’d be uncomfortable with; 13 per cent worry a stranger might ask them to do something illegal; and ten per cent worry that strangers would still have access to information they have posted online even after they have deleted it. These are valid fears but do not represent a comprehensive list of bad things that can happen to them. The reality is much worse including the installation of malware on devices, spyware, ransomware, stolen access credentials which can be used to access accounts and inflict a much greater damage if the same password is used for multiple accounts which is often the case, etc.